Conspiracy theories will continue to live with humanity, probably until the end of mankind on earth. Of course, not every theory stands the chance of being true, but remember the old saying that in every rumor, there is a little bit of truth. At the headquarters of the Roman Catholic Church, the Vatican has been embroiled in many conspiracy theories. One of these theories is that the Vatican has a secret device called the Chronovisor, which it uses to look into past and future events. In the late 19th century, the English author H. G. Wells published his science fiction novel The Time Machine. Although the work was fiction, it attracted interest in both the scientific and pseudo-science community. The novel became popular to the extent that some physicists believed traveling through time is possible. Although time travel still remains a controversy among the scientific community today, some scientists have proven the mission possible. In 2015, a group of scientists from the University of Queensland, Australia simulated how time-travelling photons might behave; suggesting that, at the quantum level, the grandfather paradox – which makes time travel impossible – could be resolved. The study used photons – single particles of light – to simulate quantum particles travelling back through time. By studying their behavior, the scientists revealed possible strange aspects of modern physics, concluding that time travel is possible. 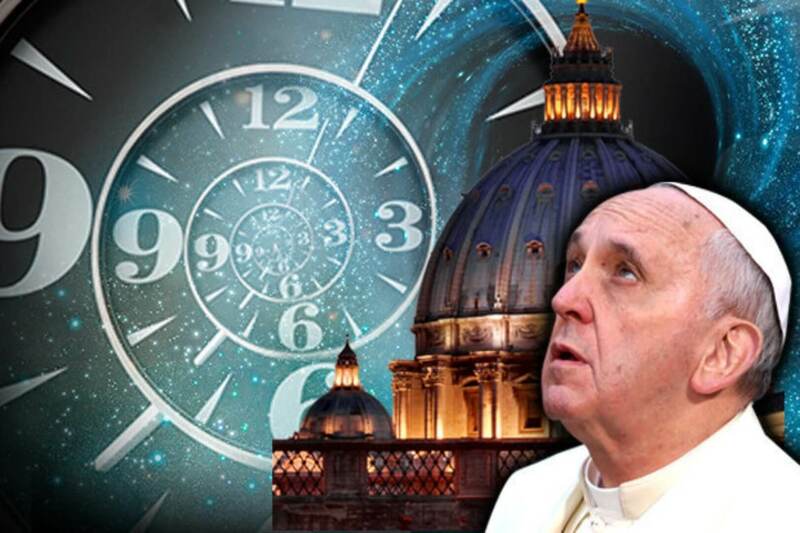 Having established this fact within the modern-day scientific community, the Vatican’s Chronovisor rumor appears to have the element of truth. In May 1972, an Italian newspaper published an article titled “A machine that photographs the past has finally been invented.” The article alleged that the machine capable of this extraordinary task is called the Chronovisor, and was invented by Vatican insiders. The article further revealed that the device enables its user to observe future as well as past events, and that the machine the Vatican possessed is one of the greatest guarded secrets humanity has ever had. This article was the first to shed light on the Chronovisor publicly. But as for those familiar with activities that go on inside the Vatican, the article wasn’t surprising. According to details of the article, many scientists contributed to the building of the Chronovisor in the 1950s under strict supervision of the Vatican. Father Pellegrino Maria Ernetti, an Italian physicist who later became a priest, is said to have led the project. He received technical and important information from Nobel laureate Enrico Fermi and the famous rocket scientist, Wernher von Braun. The article described the machine as a small object that is equipped with a number of antennas, composing entirely of precious alloys, cathode tubes, some dials, and levers. The device is capable of capturing specific locations, important events in the past and those that are yet to come. The priest told Krassa that he had in fact invented the machine. Father Ernetti confirmed that he used his machine to witness the destruction of Sodom and Gomorrah, and other major historical events, including the founding of Rome in 753 B.C. He also claimed to have attended a performance of a previously unknown play by the Roman playwright Quintus Ennius by the help of the machine.In 1997, the German author Peter Krassa revealed more details of the Chronovisor in his book ‘Father Ernetti’s Chronovisor: The Creation and Disappearance of the World’s First Time Machine’. Krassa had a personal encounter with Father Ernetti before his [Ernetti] death in 1994. According to Krassa, Ernetti said he used the machine to witness the crucifixion of Jesus Christ, as well as witnessing Napoleon, the Roman philosopher Cicero and other great and momentous historical and biblical episodes.